Bill and Paula Muster were married February 5, 1950, in Chicago, then moved to Los Angeles in1953. They first lived in an apartment on Grace Avenue in Hollywood, then built their own houseon Inwood Drive in Sherman Oaks. From 1959-1961, the family lived in Sunnyvale, Northern California, in an Eichler house.They moved back to Los Angeles and settled on Longbow Drive in Sherman Oaks from 1961-1970. Daughter, Nori Muster, was born in 1956, and son Bill Muster was born in 1958.Nori and Bill attended Roscomare Road School, then Van Nuys Junior High.Bill and Paula's marriage ended in 1970, and Paula moved to Arizona.Nori and Bill followed, and attended Camelback High School. Bill holds a bachelor's degree in business fromArizona State University; Nori holds a bachelors from UC Santa Barbara and a masters' from Western Oregon University. After the divorce, Bill moved to his Skylark Lane house in the West Hollywood Hills in 1972, and continued towork at the same office on Santa Monica Boulevard until his passing in 1989. Paula was married to Don Hassler from 1970 until his passing in 2013.Paula and both her children, Nori and Bill, are freelance writers, andreside in the Phoenix Valley of the Sun. 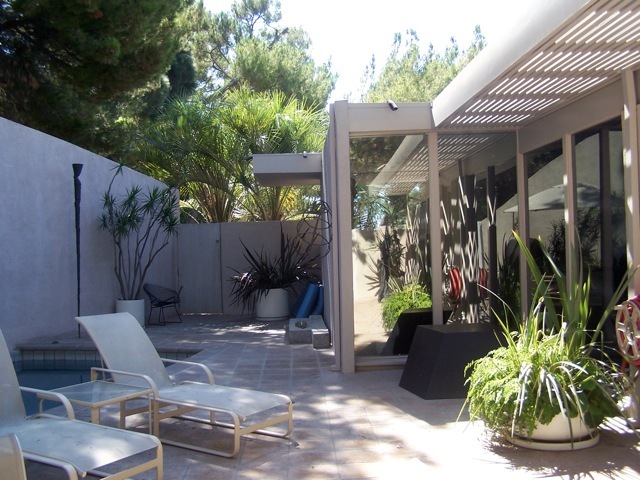 Eichler House - the Musters were the original owners of this house, living there from 1958-1961. Longbow Drive House - the Muster family lived here from 1961-1970. 6900 Santa Monica Boulevard - an Art Deco building built in the 1930s on historic Route 66. Bill Muster worked here from 1961-1989, and the property remained in the family until 1999. Alameda House - the Arizona branch of the family has occupied this homestead since 1992. 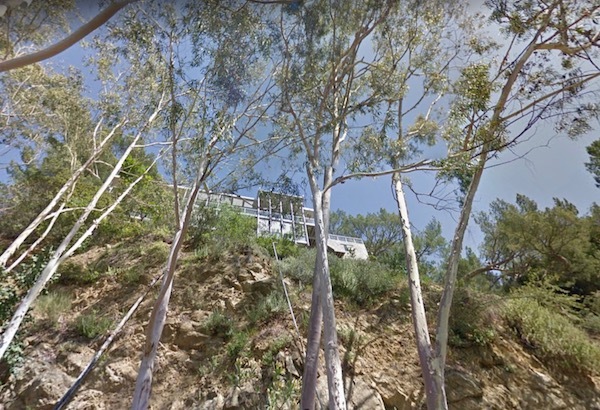 This is a screen shot from Google Maps of how the house looks from a road down the hill.